Novahobbies official 110g rebuild thread | Saltwaterfish.com Forums for Fish Lovers! I've been threatening to do it for months now. I've posted little hints and drawings. This weekend the re-build project has finally started! ...and it's gonna be a long, slow build, because limited funds are being used for so many house projects! Fastforward to September 2011, when we finally got into the new house. Plans were formed and abandoned, fights were started and resolved, and an agreement was reached - the 110g tank was greenlighted for re-assembly! As soon as I'd finished the wood floors in the house. Meanwhile, I started sketching out the ideas for the tank. 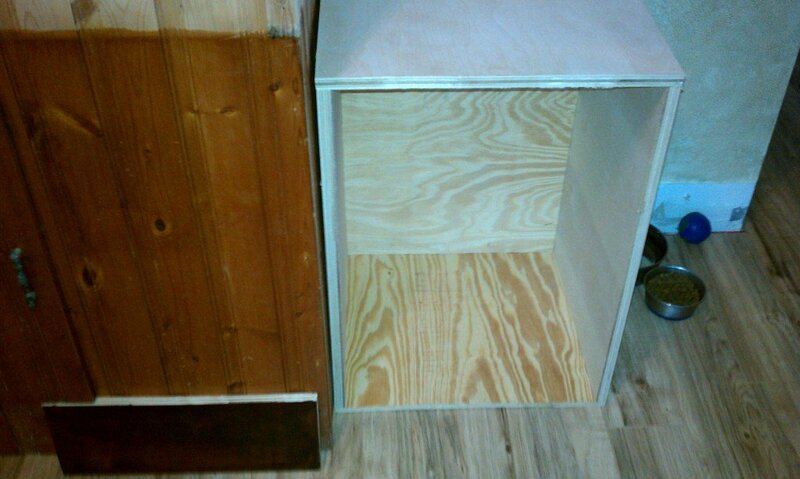 I don't have a lot of room under the stand for anything more than the sump, so I wanted to make something that had extra enclosed storage space next to the stand so I could plumb an ATO or other items between them. I also wanted to add some more bookshelf space to hide some of the tank sides (the areas where the powerheads are hidden) and...well, 'cause I have a lotta books. The base stand is a normal 48x18x32" unit. The side cabinets are each 18"wide, 26" tall, and 16" deep. The bookshelves will sit on top of the cabinets and have space for 12x12 inch book cubbys. They are 14 inches deep, but since they go all the way against the wall (the tank doesn't) they will only cover 10 inches of the tank sides...just enough to hide powerheads, but still leave viewing room on the side. Well, OK, that's obviously not all the lumber..that's just the pieces stacked for one of the two base cabinets. But you get the idea. 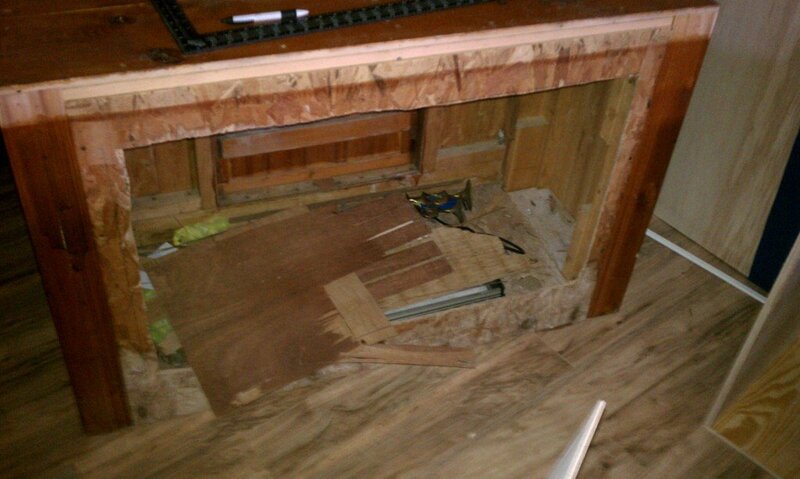 Besides the cabinets, the base plate that everything will sit on was cut from the framing plywood sheet. That's a hair over 7 feet long by 2 feet deep, and I decided to put this all on a long base plate like this because I live on the second floor and this will help spread the weight of the tank. Yes, I am putting the tank perpendicular to the floor joists. This is just an extra safety measure. ....followed by an immediate examination from the cat. 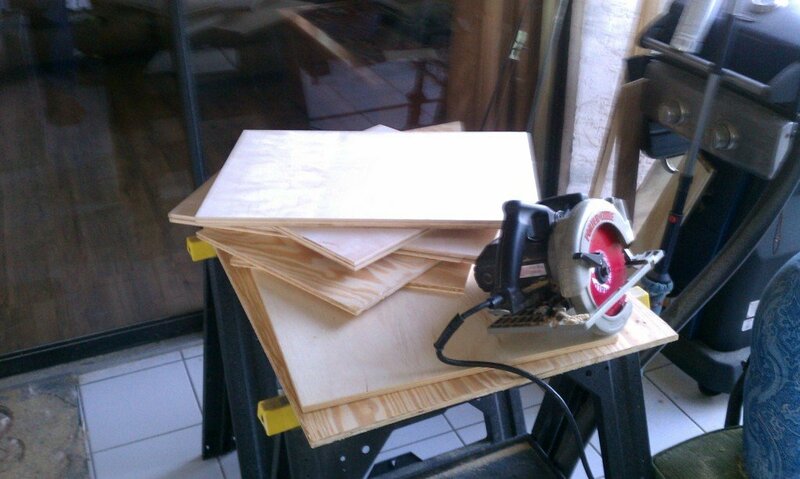 You can see in this picture the cheaper framing plywood I used for the bottom and back. The cabinet insides are getting sealed with white paint, so I didn't need to worry about these pieces. All the outside will be stained in the Bombay Mahogany...you can see a sample of it in the picture above. 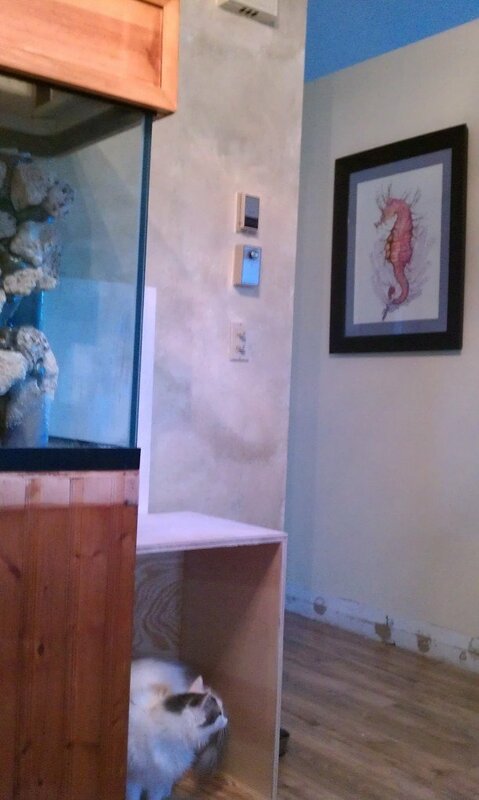 You can also see where I moved the seahorse painting. This is part of the view from my chair here, so it's not that bad a location. And that's pretty much it for this weekend. I already removed the molding strips from the existing stand, and I will get started re-skinning it sometime this week or coming weekend. 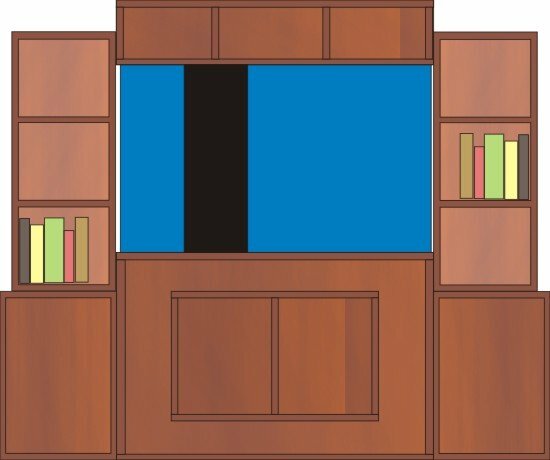 Obviously the doors will be added to the cabinets as well, and I need to decide what kind of molding to use for the stand so I can match it in the cabinets. 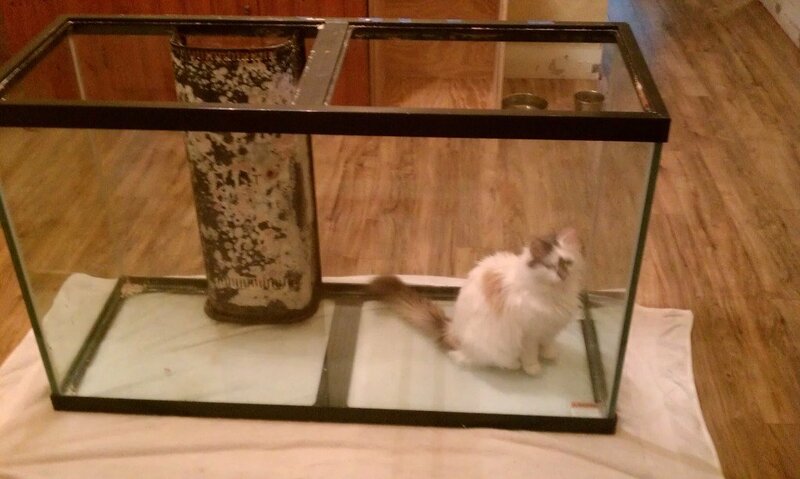 I'm thinking something simple and plain....nothing to draw the eye too far from the tank itself. Now, can I ask if anyone here has had experience staining over an existing finish?? I don't want to re-build my canopy, but it's already stained as you can see. If I have to strip it, is there a stain stripper that anyone can recommend? The deep mahogany of the test piece was achieved using 2 coats..I was HOPING to get away with just applying one coat of stain to the canopy and seeing if the two would match that way, but I don't know if I'm going to get that lucky. I could definitely use some advice there! There's no really any "Stain stripper" that I know of. There's varnish stripper, or gloss stripper but I've never come across a product that lifts stain out of wood. I believe if it is glossed/varnished you would use a semi-paste stripper, and let it get all stripped away and then you will have to go over with with some course grit sandpaper to get the stain out and then some light grit to get the details back, then stain it back again and sand & seal it and then re-gloss/finish it with some polyurethane or whatever you want to finish it with. The tank looks pretty good. I like the rock work. You almost make me want to keep my 110g that I got. I was trying to work in it the other day and it just seemed a little too tall to me to feel comfortable working in. I'm up to my armpits and I'm sure my fish don't want to wear my deodorant. Thanks. Yep. I had a feeling there was only one way to do this. Oh well, that's just another fun project to add to the list! Thanks for the kudos on the rockwork. This is actually the same rock from before - I saved it and dried it out, and it's been sitting in a tub ever since. 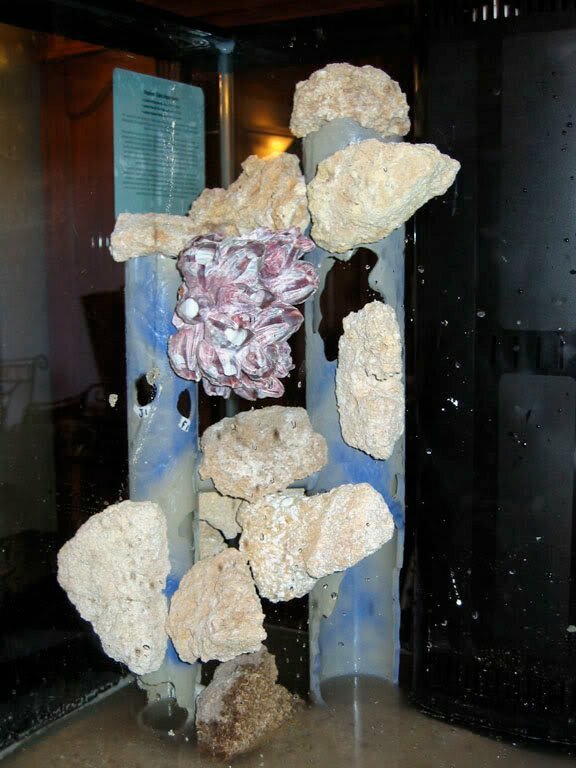 This time I actually foamed the rock into the columns....I rarely ever removed individual rocks anyway, and the foam helps blend the rock into the columns. There's actually more rock to come, and I'll supplement it with a single piece of true Live rock to get the bacteria started. Personally I love the 110's size, but I have Neanderthal arms so I don't have too much of a problem reaching the bottom. A 90 is a close second, tho. Oh my but you have been a very busy bee.... I don't know anything about building stands....but it looks like it's going be fantastic. In the first pictures...is that foam and rock as well? It looks awesome, what did you do with those columns? 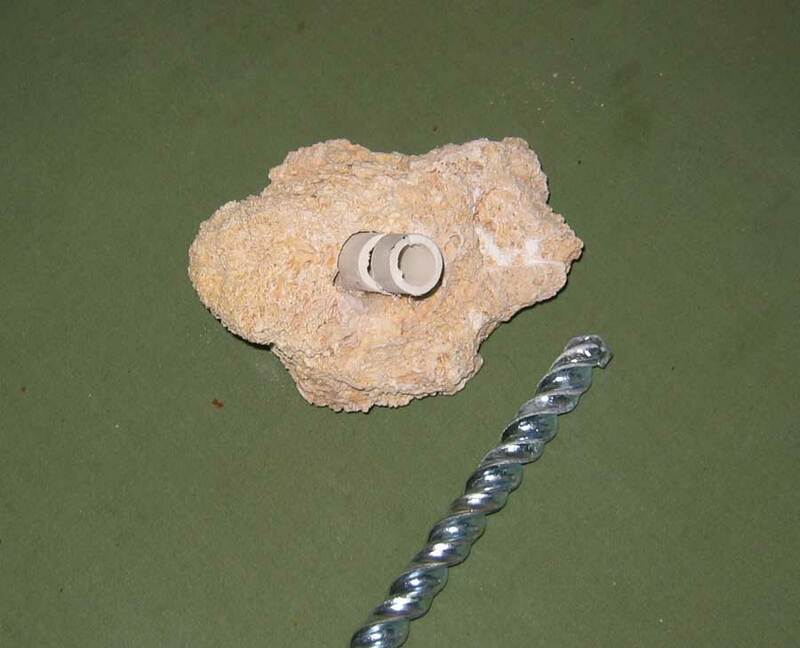 On the new columns, did you build on PVC pipe, covering it with foam and rock? You know why I'm asking, you got me thinking about columns now. No, the old columns are bare PVC. The rock is hung on the PVC frame by use of small pvc "plugs" drilled into each rock and hung in slots that I cut into the large PVC columns. I got the idea from an old 2007 magazine...the technique is called Live Framing and the point is to cover the PVC so completely that you can't really see the PVC, yet each rock is removable if necessary. While this was a very cool idea, I learned a couple things in the process. First, despite my best efforts I wasn't able to FULLY cover the PVC. Even when you rough up and scuff the exposed PVC bits, it doesn't change the fact that it's still pretty obviously PVC tubes. Second, I learned that I never really needed to pull a single rock away from the rest of the frame...and even more important, after a few months of corraline algae growth it becomes darn near impossible to pull the rock out like this. So with that in mind, and from the other foam columns I've done, I decided to fill in all the empty spaces with pond foam so I could more fully hide the PVC bits. I call my version "Foam Framing." All the actual rock and the PVC cores are the same...just dried and recycled....so I re-hung all the rock in the correct slots, then filled in with foam. Once thing I like about the foam is it's carveable - just take a steak knife and smooth/flatten out the foam so it looks more aqualithic in nature. They look a little weird right now with the bleached white rock, but it will fill in and color up in a few months once it's wet. Looks Good!!! I am following along as well. I like the "Foam Framing". So glad to see this tank coming back out of hibernation! The rock work was always one of my favorites! I'm really looking forward to this build Nova! Thanks all! I'm looking forward to this too....I really missed this tank. 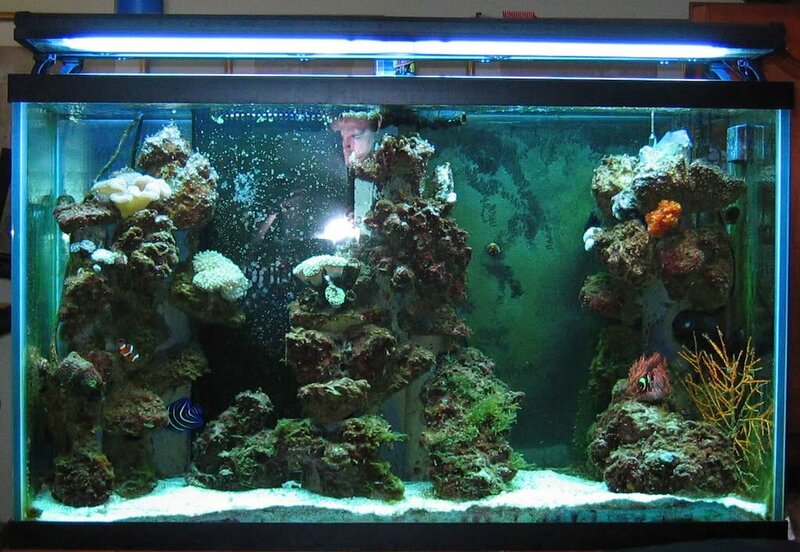 ....THIS is my dream tank. And I'm trying to design it to reflect that. 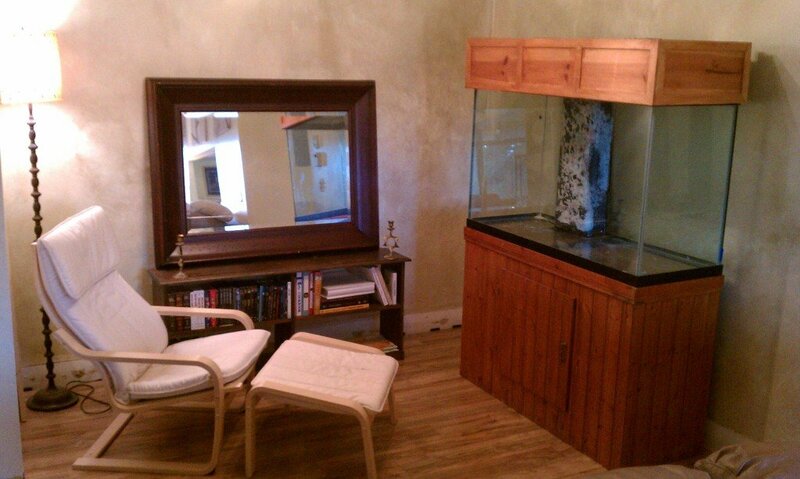 After a good number of years of fishkeeping, I've got a pretty good idea of what I want, what I can get away with, and what would work best in here. Should be a fun project. I don't really understand the "plugs" but I think it's the coolest thing I have ever seen. The pvc plugs are notched at the bottom so they slip into the holes on the PVC frame. You can see the holes that I cut into the frame. These are where the 1 inch pvc plugs that hold the rock are inserted. All of this is bunk, though...it's so much easier to just foam the rock against the main PVC frame, and avoid the hassle, dust, etc of the PVC cutting and rock drilling. WOW!! you sir are not playing with this and I LIKE IT! Well this past week has been full of family and friend engagements, so little has happened. 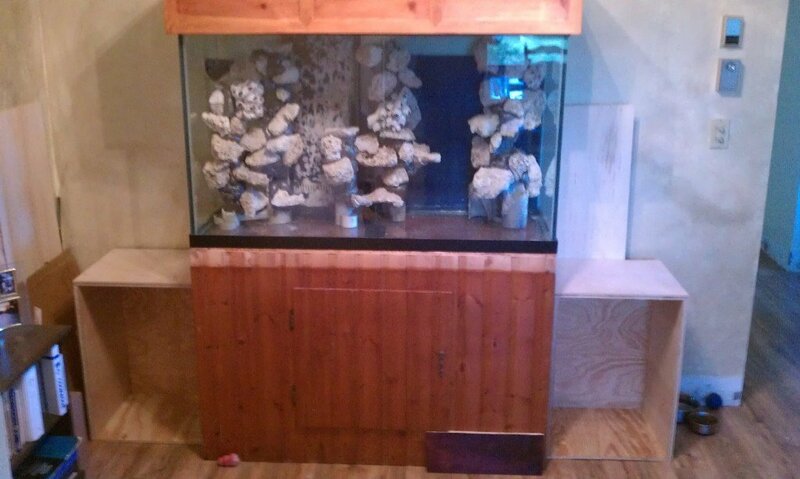 I finally got the tank off the stand yesterday, and the stand turned around to prep for the new skin. Yes, the "back" is going to be the "front." That's the way I always had it actually....the couch used to cover the exposed "back." Here's a nice thing. This stand was built by my Father in Law years ago when he and my mum-in-law had a 90g. It's kind of nice (to me) that I can still use it for the 110, because he was a classic over-engineering kind of carpenter, and I like the fact that his influence is still here with us. 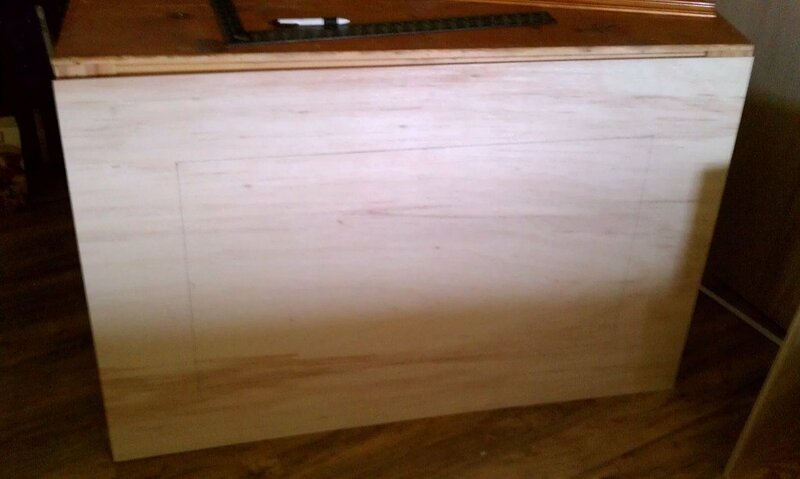 When I was in the stand last night, I noticed that he had cut off the dead space with some panelboard just to make the inside look nicer....but I ripped the panelboard out.....now I have an extra 6 inches on either side of the sump! 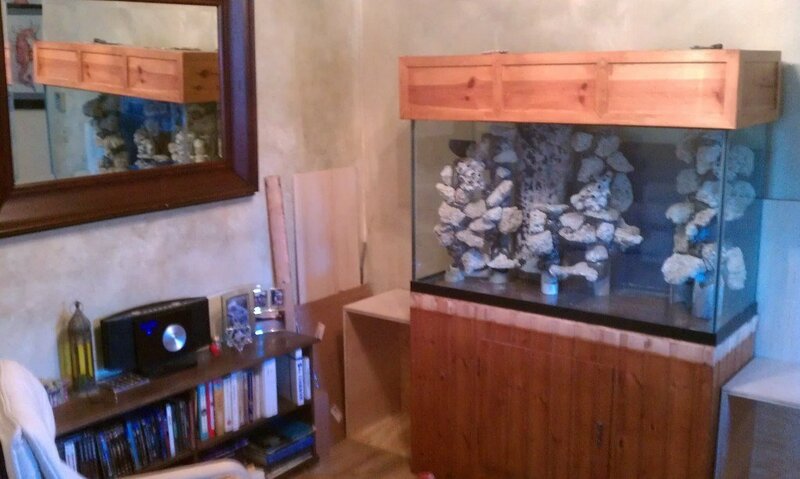 Extra room in case I want to install a denitrator, or a seperate algae screen...you name it. Tank off the stand, cleaned a little more. Catfish needs to be moved to a bigger tank. Stand in mid-demo. I have not decided if this really needs reinforcing, but considering the age of the stand, I might add a few braces. You can see the extra space behind the old partitions here. And the skin for the face cut to size. Nothing else done, no cutout for the door, nada. At least the opening is marked out and squared up, but that's it. Hopefully some more can be accomplished tonight. It's coming along!! Maybe one day I can make a trip and see this in person if it's ok with you. LOL you can come over when it's time to schlep 110 gallons of saltwater up the stairs! Why don't you use pump for that? Use a garden hose and hose adapter and attach it to the pump then pump it up!! because it's hard to find a pump that will pump 20+ft at that much horizonal and vertical head.